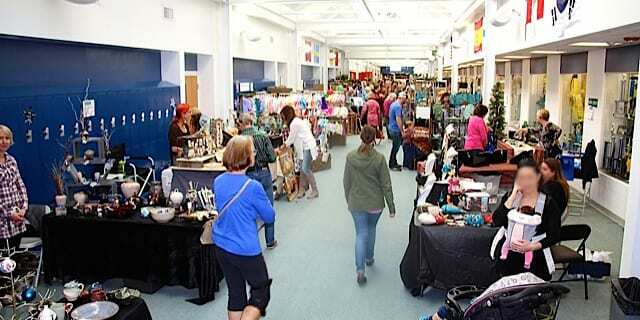 Do you enjoy indoor markets and shopping around for handcrafted items? If your answer is yes then you should drop by Evergreen High School’s “Main Street”, which will be hosting Winterfest 2018. Plate artist at Evergreen Winterfest. Spectators and volunteers can gather around for this one day event that will be happening on November 10th, from 9am until 4pm. The festival will be filled with lots of handcrafted items and a selection of unique pieces in line with the coming holiday season. It’s considered one of the best holiday indoor shows around Denver area and is visited by many every year. Apart from things that you can buy at the indoor market, you can also expect performances from the Evergreen Chorale and the Evergreen Children’s Chorale. Winterfest is also thoughtful enough to consider their younger patrons by providing a “Santa’s Workshop”. This is where the kids can get busy with holiday craft activities so their parents can roam around and shop. 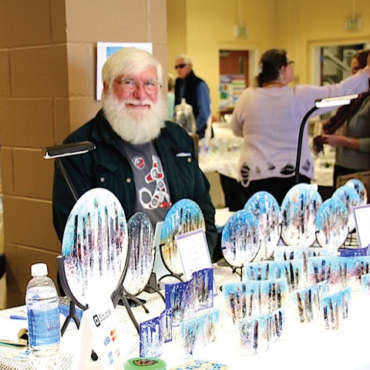 Aside from all the fun guests will be getting, you would also be happy to know that proceeds gathered from Winterfest will be used to support arts programming all year round. For those who want to take part in Winterfest, volunteers can submit their application for artist or sponsor through the event website.